Welcome Holly . . . Bringer of the Peace! Greetings Roundhouse Faithful! Where have you guys been? It has been awhile. What? It’s not you who broke off this relationship, but me? True. Let’s just say I get distracted easily. Since it has been 10 months since my last blog post I am going to skip a lot of happenings. You are just going to have to believe me when I say this past year has been glorious. Rest assured we have continued our reign as the number one railroad themed brewery in all of Brainerd, MN! 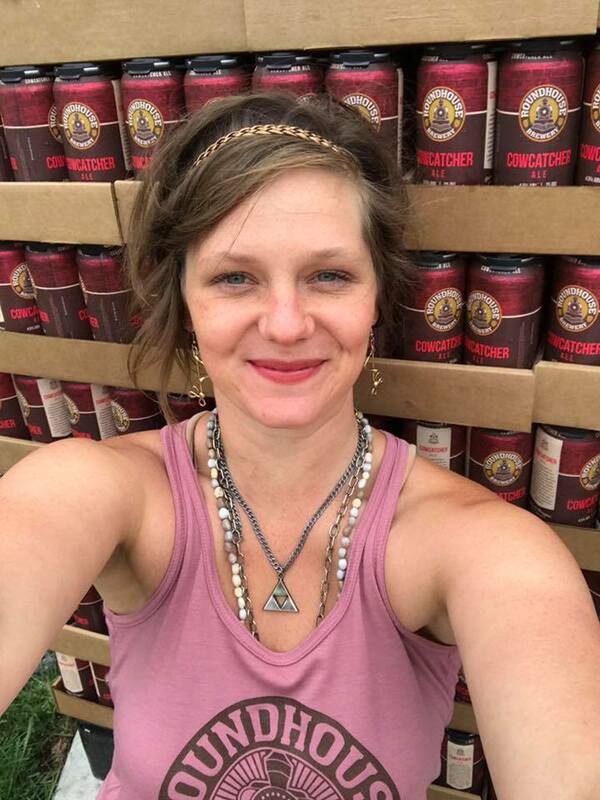 This blog post is dedicated to our new Taproom Manager Holly. As Taproom Manager she brings vision and decision making to the high stress world of drinking beer. You are probably wondering how we made decisions about the taproom in the past. The same way we make decisions for everything at Roundhouse. We follow the old Germanic tradition of Zweikampf as dictated by the Sachsenspiegel to make the real hard decisions. That’s right, we are the only people in the United States to use judicial combat to manage a brewery. I can only assume in Germany dueling is still wildly popular at all the major breweries. With this system in place why do we even need a taproom manager? There have been a few incidents, and our insurance company has kind of been threatening us. There was that time that Dan and Chuck went at it over how many coasters to order. Putting our one and only brewer in the hospital. Of course, how can you forgot the time Christine broke that growler and tried to stab Mark in the neck when they were deciding which way to arrange the tables. Thank goodness she slashed her own ulnar artery and bled out before she finished off Mark. Those were some good times. Sadly we have to leave those ways behind. You might say we have grown, but honestly we are just afraid of Christine now that she is fully healed. So welcome Holly, who brings her own less violent style of management to Roundhouse. Keep on Chugging . . . Peacefully. Holly proudly standing in front of her signing bonus. Artist rendition of last year’s owners meeting. As you can see in the painting we made a lot of decisions that day. The Great Battle of the Coasters. Chuck was banned from all future combat after we remembered he is the guy who makes the beer.